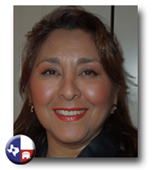 Out of a profound concern for the future generations of Americans in October 2010 small business owner and activist, Sylvia Guzman, founded Amigos de Patriots, a conservative Hispanic/Latino 501c4 organization. America is a nation built on a deep and abiding respect for Judeo- Christian morals, family values and for those who are willing to strive for opportunities to succeed. She believes that the human values that the Republican Party reflects fall more in line with the Hispanic/Latino community, culture and upbringing. The current clamor in the immigration debate for separation and protectionism is an ageless story. America developed a peculiarly effective solution of both assimilation and individual liberty and responsibility. Born and raised in marginal parts of Colorado and Texas, Sylvia Guzman has lived this process. She conceived and directs Amigo de Patriots to be a sounding board for conservative and American values. We, new immigrants and past immigrants, will find a way to stand together or we will fall separately. Let’s stand together.